We Come To Your Workplace! We realize most employers large, mid-sized or small spend their time, energy, and expense on Post Offer or Annual Employee Physicals. Often times some employers forgo the Employee Physical because the employee either cannot make it to the clinic or there isn't an occupational clinic in the area. Post-Offer or Annual Physicals are important for the safety and well-being of the company and its employees. That is why we at ProHealth Occupational Medical Group have embarked on one of the first Full-Service Mobile Clinics in the Los Angeles and surrounding areas. 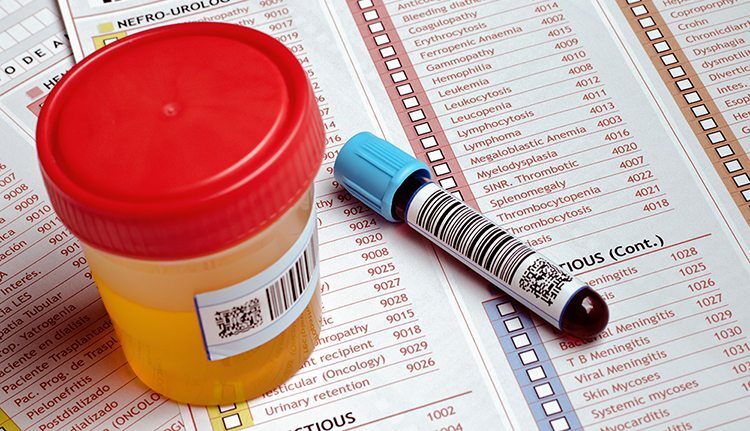 "We Come to Your Workplace" and conduct Post Offer & Annual Physicals at your site to include NIDA and Non-NIDA Drug Testing, BAT, DOT Physicals, Immunizations, Respiratory testing and on-site X-Ray. We are currently performing employee health services for many large employers throughout Los Angeles, Glendale, Vernon, Commerce, and surrounding cities. This will save your company from having to compensate your current employees for travel, and time off work when they need an Annual Physical, and it will keep them more productive at work. In addition to Employee Health Services, our mobile clinic is also staffed and equipped to evaluate and treat work -related injuries from minor first aid injuries to those that are more serious. Treating them on-site is efficient and effective. Take into consideration, when one of your employees suffers an accident and are injured, it typically requires a supervisor to transport the injured employee to a nearby medical facility. This handicaps your resources, and becomes very disruptive, time consuming, and expensive. It is important to work with experienced Industrial Care Providers who understand the complexity and sensitivity of work-related injuries, OSHA guidelines & are familiar with Modified Duty. With our Mobile Clinic we will evaluate and treat your injured employee on-site with no long ER wait times and providers who are experts in Occupational Medicine. We are contracted with almost all MPN's (Medical Provider Network) therefore injury visits would be covered by your insurance and would not cost you anything out of pocket! The Prohealth Occupational Mobile Clinic in stationed to service downtown Los Angles and its vicinity. This mobile clinic can be scheduled to be stationed at your facility yard on set days. 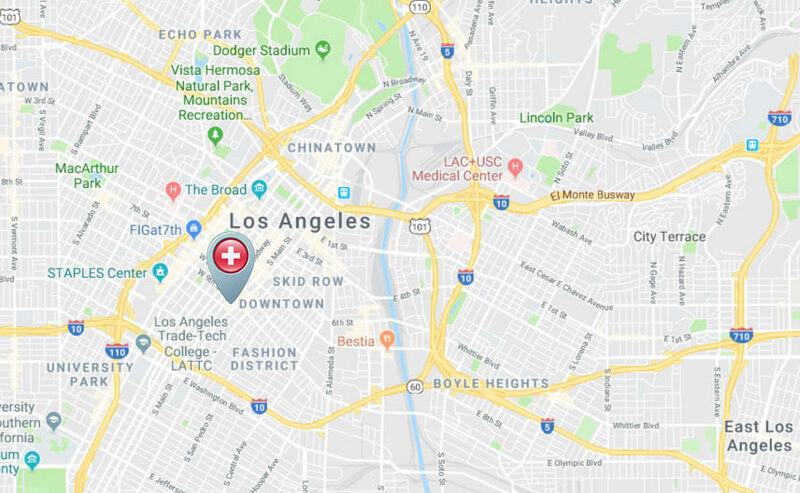 As we service several major sites in downtown Los Angeles, if we are not scheduled to be at your facility on a given day, we would still be within a mile of your location. We can also setup special service days for major events to conveniently service your staff during those occasions. For example, we can be stationed at the los Angeles Staple Center during major conventions or games. We can also provide this service at Rose Bowl, Dodger Stadium, LA Coliseum, or USC Stadium, for major sports events. You can reach us 24/7 by calling 818-246-4800.